​Enjoy your Android. We keep it safe. security application on their mobile device." Select carefully in the PayPal item below before making payment. License key will be delivered via email only on next business day or less. Strictly NO REFUND after license key is delivered from our system. By making purchase through this website or through direct bank transfer, you agreed to accept our Refund Policy. Click here to read about our Refund Policy. Thank you for your kind understanding. 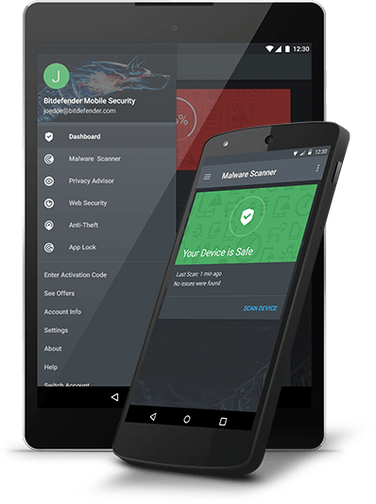 Bitdefender Mobile Security provides unbeatable cloud-based malware detection & a smart antitheft experience for your Android with virtually no battery impact. All on top of the best Android security out there. "Bitdefender scored 100% once again according to the March 2017 test"